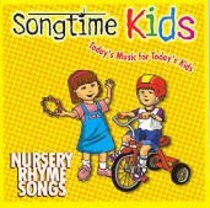 Songtime Kids is a collection of children's music products at amazing low prices. Each title features up to 16 children's favorites and standards that adults will remember and children ages 4-8 will love, all produced with fresh new arrangements, bright, eye-catching graphics, and cutting-edge digital technology. Each cassette features stereo on side A and split-track on side B.